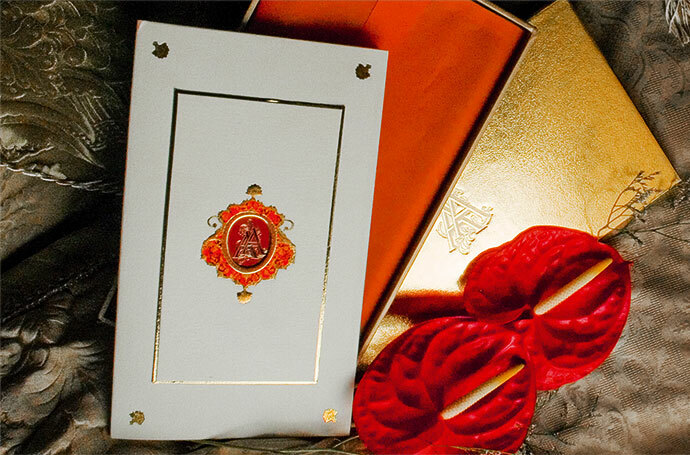 The stamp of blessing was encrusted in red that adorned the box invite that had the immaculate combination of beige and gold, just like the personality of Abhishek and Aishwarya. 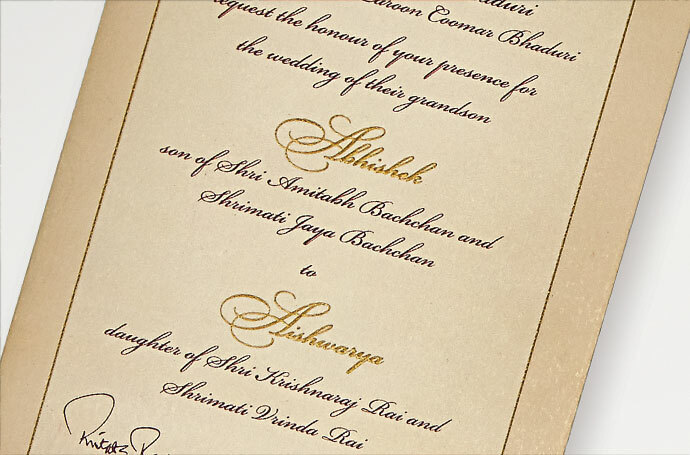 Each card sent out was personally signed by Jaya and Amitabh Bachan. Copyright © 2014 Entertainment Design Co. All Rights Reserved.